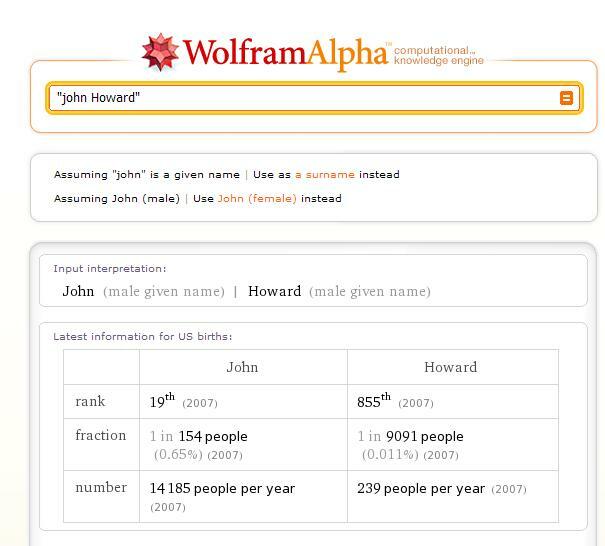 Wolfram- The Alpha and Omega ? 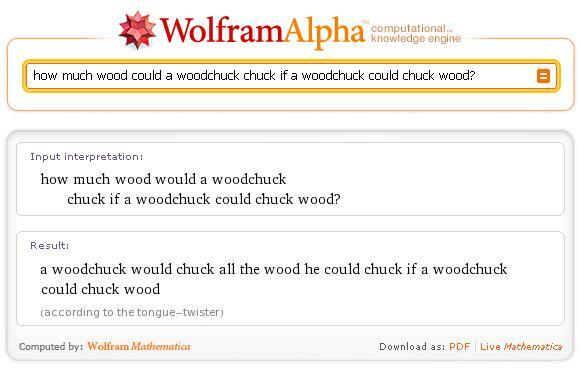 Posted by Bruce Clay, Inc. on 05/26/2009 @ 4:47 pm | Comments Off on Wolfram- The Alpha and Omega ? Wolfram Alpha has been the hot topic in the web and the SEO world at the moment, for those of you not involved in search engine optimisation or particularly web-savvy , Wolfram Alpha is the new search engine on the block. However it doesn’t position itself as a search engine but as an “answer engine”. Steven Wolfram creator of Wolfram Alpha calls Wolfram a “computational knowledge engine”. Basically it means that you can ask it factual questions and it computes answers for you. 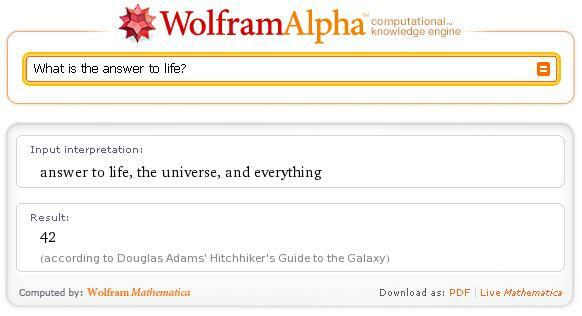 To do this Wolfram uses models of current knowledge, complete with formulas and algorithms that represent real-world knowledge; it models much of what we know about science – massive amounts of data about various physical laws and properties, as well as data about the physical world. 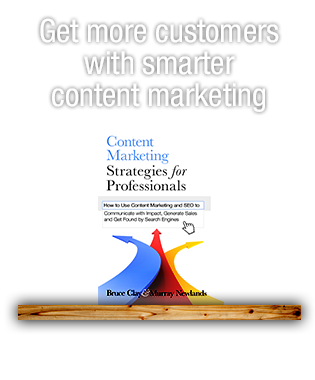 It then analyses the query and produces results based on its massive compendium of knowledge. Unfortunately, as with every new each search engine, Wolfram Alpha will have to stack up against its competition AKA Google. 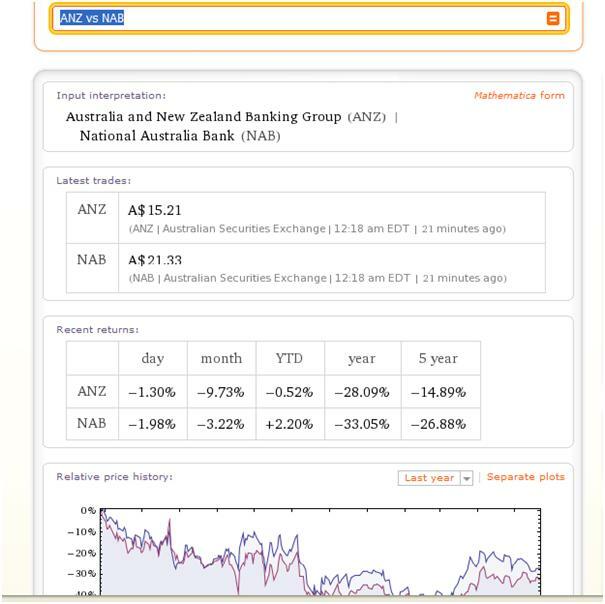 It is at an advantage in that its quite different to Google; Google acts as a lookup tool, helping you find information most relevant to you from the billions of pages out there, while Wolfram is for calculating, not finding. Wolfram’s main competitive advantage over current or future projects (for example Google Squared) is that it is built on Steven Wolfram’s Mathmatica Engine ( from Wikipedia : Mathematica is a computational software program used in scientific, engineering, and mathematical fields of technical computing) and is one of the most powerful computing engines ever built. This gave some pretty good in-depth analysis of the two companies, their share prices and historical data regarding the two publicly traded entities. However when I tried to search “Tall Poppy syndrome”, Wolfram replied with “Wolfram|Alpha isn’t sure what to do with your input” . Its target market is also very different from Google. 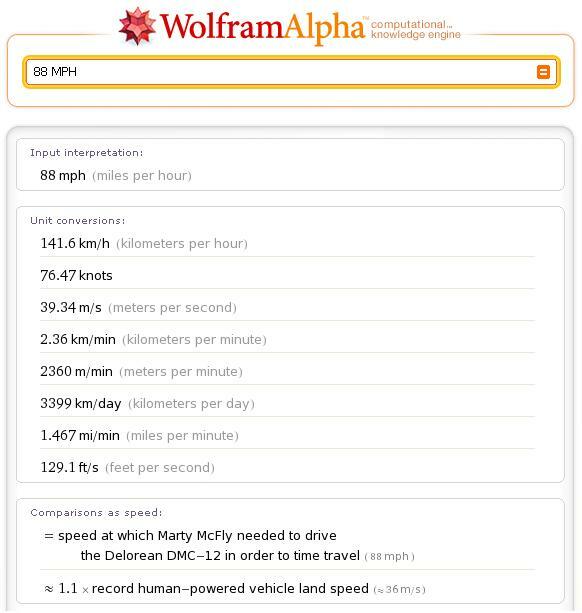 While the big G is targeting the population of the world (6.53 billion according to Wolfram- only a 2006 estimate mind you), Wolfram Alpha is targeted towards all us techies, those who want to dig into the data and convert raw telemetry into intelligible actionable information. For a layman user it’s too picky about syntax and not intuitive enough, furthermore once you actually get the answer some guidance would be needed to interpret the data. I would imagine, however that home pages through research universities throughout the world are being set to Wolfram at a pretty rapid rate. 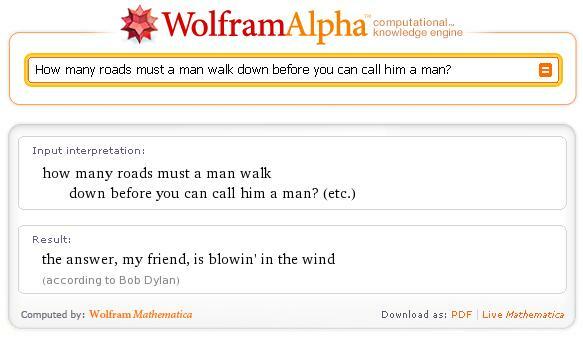 How will Wolfram make money then? 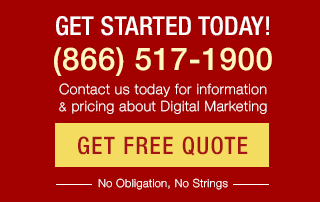 Especially if it is a niche product that can’t deliver the kind of impressions or clicks that Google can supply. Well rumours of a subscription service abound. Apparently for a small monthly charge more detailed data and blended data searches will be made available. Already some advertising is taking place for Lenovo and other blue chip products. 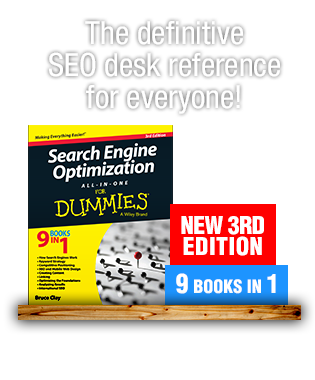 With regard to SEO it is not just another search engine that we can try to optimise for, it has its own internal database that is not really susceptible to interference. Where it can help search engine optimisation is that it can shed light into hidden aspects of different industry segments that we work in and we can use these insights to better optimise pages. It also has a site explorer function (similar to Google and Yahoo) where if you put in a URL you can get some information and statistics. Unfortunately most of these statistics are generally pulled from Alexa which is known for its unreliability. All in all it’s a pretty nifty tool that will have great application for technical research and data mining, however it doesn’t help you understand what the data means. The mainstream public will view it as a novelty and get bored with it eventually while it will be a tremendous time-saving device for those in technical and data driven fields. BTW – Apologies for calling you Bruce, Marc! Some quality easter eggs there! Great post on Wolfram, thanks Bruce!